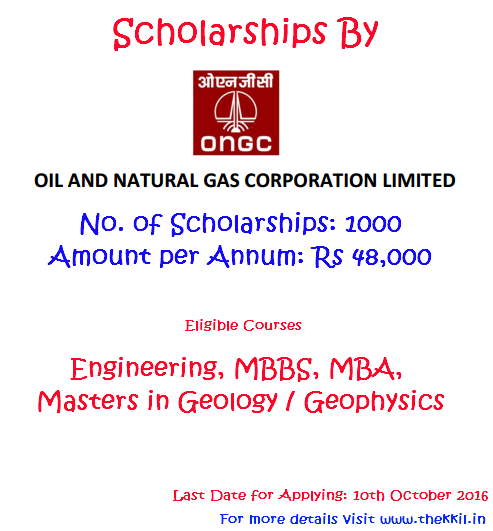 www.ongcindia.com is the official website of Oil and Natural Gas Corporation (ONGC) Scholarship 2016 Online Application for Meritorious Economically Backward General and OBC Students. 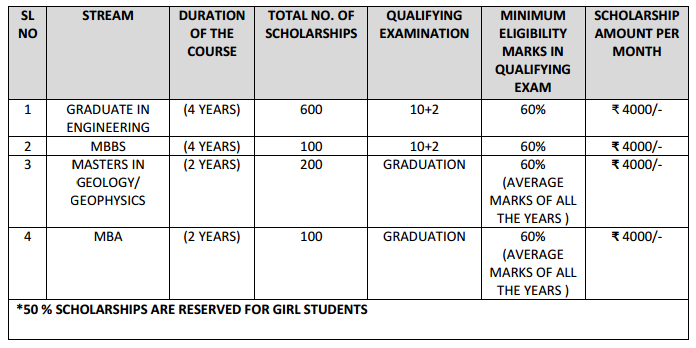 Last date for Applying is on Monday, 10th October 2016. 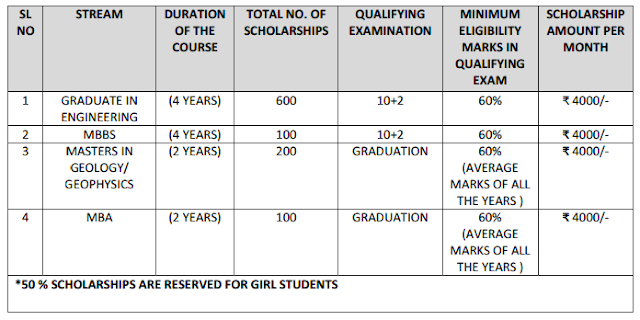 Other Eligibility: Candidate who are availing any other Scholarship from other sources should not apply.